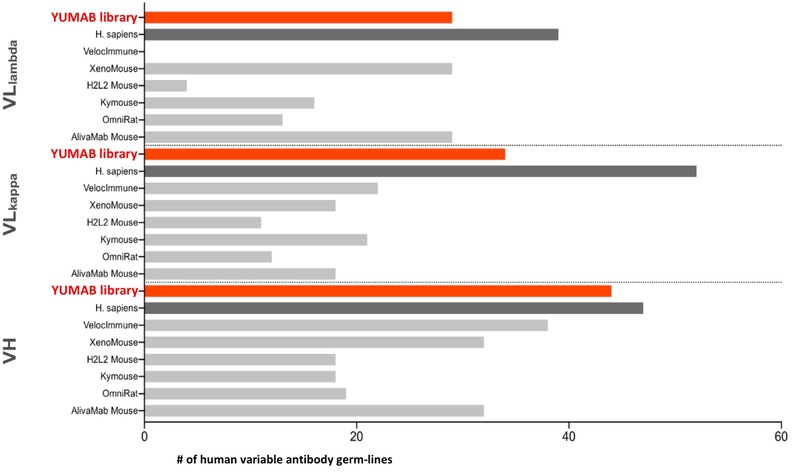 YUMAB’s universal human antibody libraries with more than 100 billion unique antibodies and advanced in vitro selection technologies provide highest success rates from the start for your antibody development program. YUMAB® libraries contain naturally derived antibody sequences based on the close to germline repertoire without any synthetic sequences, which are pre-selected in the human body for low toxicity, immunogenicity and high productivity. YUMAB® libraries have a long track record and have proven their value and excellent quality in pharmaceutical pipelines when compared head-to-head with other commercial libraries.